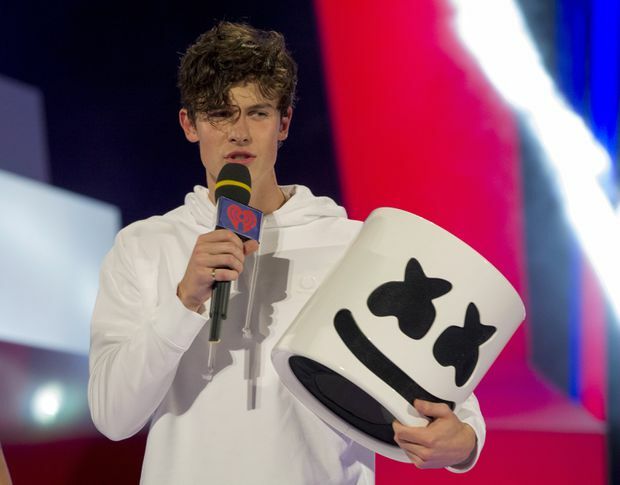 Shawn Mendes arrives on stage with Marshmello's mask at the iHeartRadio MMVAs in Toronto, on Aug. 26, 2018. Shawn Mendes pocketed four awards and stole the hearts of countless screaming teenagers at the iHeartRadio MMVAs on Sunday. The Pickering, Ont.-raised singer was the recurring star of the Toronto street party. He opened and closed the show with performances of his songs “Lost in Japan” and “In My Blood,” but also turned up several more times to dish out love to his Canadian fans. “This is home,” he said while clutching the MMVA for artist of the year. The pop singer picked up three other MMVAs, best pop artist and two awards voted by viewers — fan fave artist and video. Mendes left the crowd screaming with delight after he revealed himself underneath the disguise of another musical star, electronic producer Marshmello. The mysterious Top 40 DJ has maintained his anonymity for years, so seeing Mendes mugging in the costume was a total shock. “Woah, what happened there?” the international star jokingly exclaimed as he dove into a fake acceptance speech. Mendes didn’t have to trek too far to accept his armload of awards. He recently bought a condo in downtown Toronto, which he said made it easy to show up in the heart of the city. “I live around the corner,” he said on the red carpet before the show. “I was at my house 30 minutes ago. It’s really cool to be home one minute and hanging out with your friends, and the next minute being here. The MMVAs were packed with plenty of other star power, including Australian act 5 Seconds of Summer, Chinese singer Kris Wu and 1990s boy band 98 Degrees who all performed. Host Awkwafina opened the show dressed in striped pyjamas as she charged into a spirited monologue that proved she hasn’t changed much, despite starring in “Crazy Rich Asians,” which sits atop the North American box-office for a second week. “I’m still that girl with the voice of a pro-wrestler and the body of a Pikachu,” the vibrant YouTube rapper told the crowd. But she also wanted to clarify one thing for viewers who might be seeing her on TV for the first time. Model and TV host Tyra Banks showered Trainor with compliments after the performance. “What I love about Meghan Trainor is she keeps it beautiful and she keeps it real,” Banks said. The two shared a moment earlier on the red carpet where they expressed their mutual admiration for each other. Other awards handed out on the broadcast included song of the summer, which went to Canadian DJ duo Loud Luxury for “Body,” a hit that’s been spun frequently on radio stations nationwide in recent months. Best collaboration was awarded to Bebe Rexha and Florida Georgia Line for “Meant To Be,” a rare cross-over hit for country and pop music. Rexha raced onto the stage, threw her head back and let out a hearty scream. Alessia Cara accepted the video of the year award for “1-800-273-8255” a suicide prevention anthem by Logic. The Brampton, Ont.-based pop singer lent vocals to the song alongside R&B singer Khalid. “I’m accepting this but this is not my award — this is Logic’s award,” Cara said, acknowledging the absent rapper. She also gave a shoutout to the music video’s director Andy Hines, who is from Nova Scotia. Aside from the accolades, a number of stars also used their platform to talk about acceptance and activism. Viral pop singer Halsey appeared on the red carpet pre-show to receive the “artist for change” award. She used the opportunity to address why she often talks about mental health awareness and suicide prevention. “I think if you end up with a platform, you need to use that platform to uplift the people that gave you that platform to begin with,” she said. 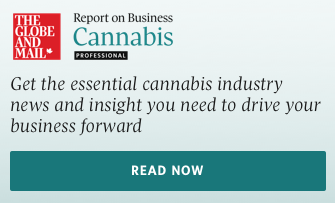 Michael Jackson’s son Prince, who was a presenter, urged the audience to consider the power of their own voice, and to get behind causes that matter to them, such as education reform and ending homelessness. “You’re never too young to speak out and stand up,” he said.